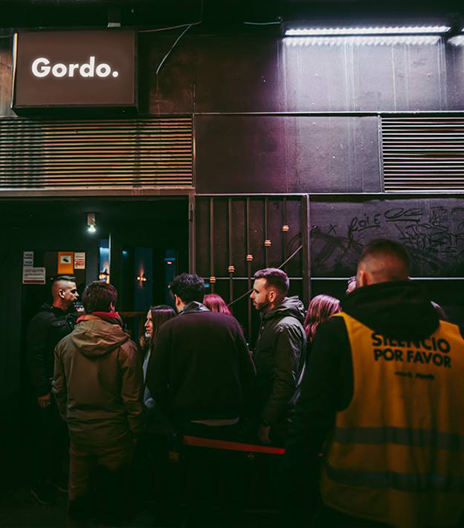 Way before Ibiza first plugged in their speakers, the mecca for European clubbing was in the sunshine city of Valencia. Surprised? You shouldn’t be. Romantic strumming of a guitar over Tapas, the global pop takeover of the Macarena and the passionate flamboyance of Flamenco; it’s clear that music is, and always has been, integral to Spanish culture. 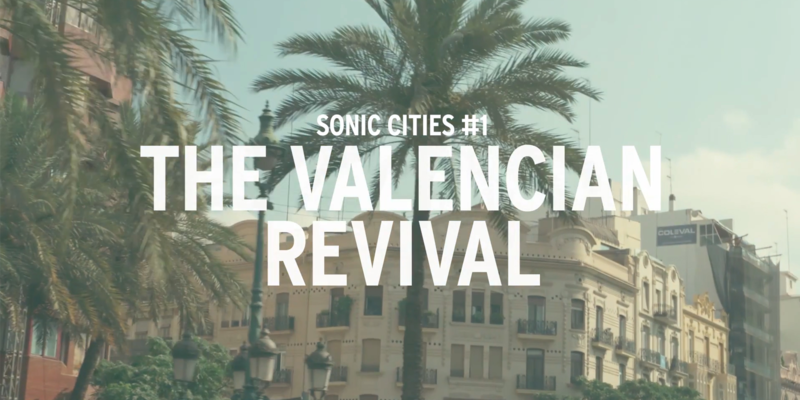 And Valencia is no different with a rich musical history that comes with its own brand of cool. Back in the day (or the late 80s and early 90s), this little pocket of Spanish coastline was famous for its Friday-night-to-Monday-morning raves. Dubbed Bacalao; meaning ‘cod’ in Spanish, the name of the rave scene comes from slang used by Valencian DJs to describe good music imported from abroad – this could be anything from New Order to Sisters of Mercy. The local sound was famous for the peerless art of mixing radical genres such as post-punk, new wave, synth pop, gothic rock and the first electronic rock songs we now lovingly call proto-techno. Like most music bubbles, the scene burst in the mid-90s, mostly fuelled by sensationalist spins form local media that enforced government crackdowns. A sad story that seems to echo across the world. However, Valencia remains a city of electronic music lovers, and the 800,000 inhabitants are not one to shy away from innovation. From re-routing an ancient river to make room for a lush space dedicated to arts and sciences, to opening the first sister campus of the Berklee College of Music in Boston – flashes of transformation and reinvention is all around. And it goes beyond architectural builds into the everyday life of music, food, and drink. As Valencia enters its 40th year of celebrating this thriving scene, we hooked up with two local DJs and producers to discover the locals who are pushing the boundaries and innovating from the ground up. Watch it all unfold below. Where to eat, drink, and discover the best local music of Spain's sunshine city. No Valencian day can start without a long, cold, drink of fresh orange juice. 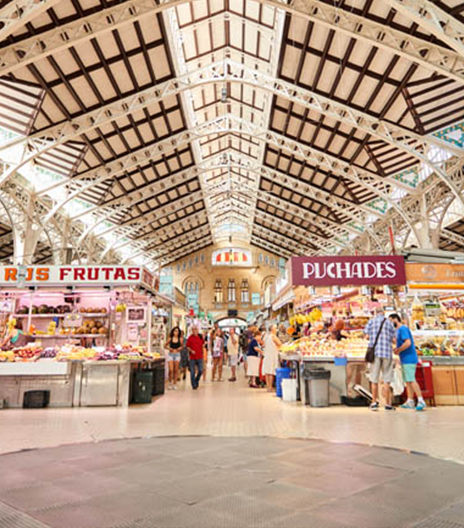 Situated in the heart of old Valencia, this covered market is one of the oldest, and most beautiful on the continent. Its main draw is the abundance of locally owned kiosks selling local fruit and veg, along with everything the surrounding sea and land has to offer. You wouldn’t think a local sport was in anyway similar to raw techno, but Pilota, the traditional handball game of Valencia, has a lot more in common with the raw, niché 909-led grooves and 303 lines of the underground sound. They’re both a bit rough around the edges and usually played in sweaty environments, but on the plus side, they have cult followings and local heroes keeping their torches alight. 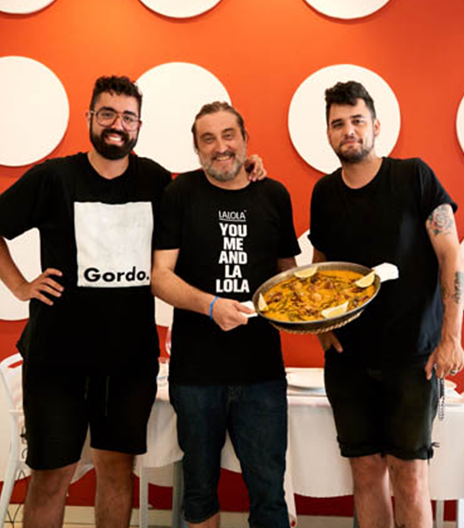 In Valencia, the hero of Pilota is Chef and Co-owner of Pelayo Gastro Trinquet, Pablo Margós. A man who’s introducing the younger generation to Pilota through their bellies. Building a gastronomic playground made up of the best local Mediterranean ingredients – around 84% of the menu comes from local farmers markets and suppliers – Pablo plays with the wealth of ingredients. 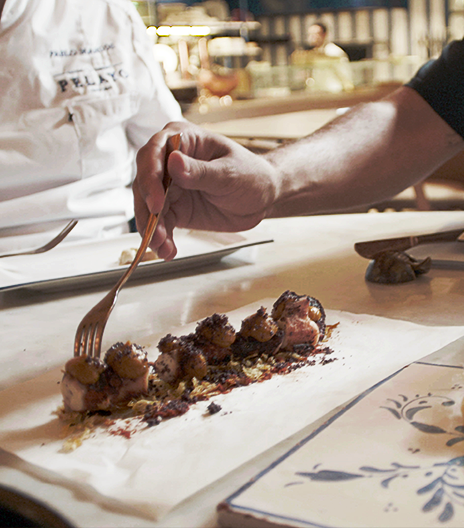 Spinning new twists on traditional Valencian recipes to create something truly special. Plan your visit on Thursdays and Saturdays to catch a game of the famed sport, and definitely don’t miss the octopus fried in whisky and garlic with Paella, served in the pan for minimum fuss and maximum delight. Eating Paella in Valencia means setting a new standard for all the future Paella’s you come across. And the highest bar is set if you order the 3 course menu at La Lola. 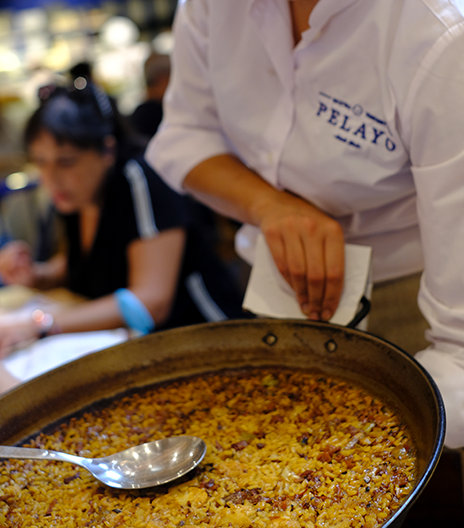 Feast on Valencian delicacies such as Watermelon and Tomato Gazpacho, freshly prepared fruits and of course, Paella. Pronounced Pa-YAY-ya for a reason, you get the whole Basque treatment here. Expect the full works with a pan of shrimp, mussels, chicken and rabbit nestled in rice and broad beans. Seek out owner and manager, Jesus, who was once one of the biggest promoters in the Bacalao scene. Settle in with a cocktail for story time set in the techno heyday, illustrated with his personal collection of vintage nightclub flyers. Culture and food, lovely. Full disclosure, when we’re not drinking whisky in the city, you’ll find us kicking back at this café drinking its famous Agua de la Valencia. A thirst quenching mix of freshly squeezed orange juice, Prosecco and a heady mix of clear spirits. It’s a must visit for the décor, the warm service and a jug of the good stuff –because there’s no way you’ll stop at just one glass. In a country full of beer and G&T drinkers, it takes some serious guts to open up a cocktail bar. 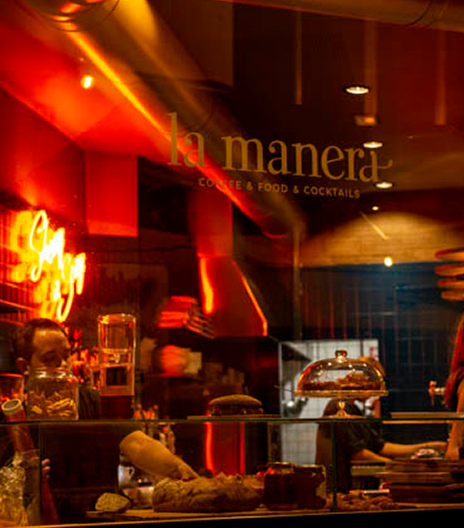 But that’s exactly what Sandra and Diana, owners of La Manera, did after falling in love with theValencia. Self-proclaimed ‘ice-breakers’ of the city, the ladies have perfectly curated the décor, food and drink to bring in a new community of foodies and cocktail connoisseurs. Walk past at your own peril. This fruity number is a crash, bang and wollop on the tastebuds. In the best way possible. Pour all the ingredients in a shaker full of ice. Shake, shake, shake. 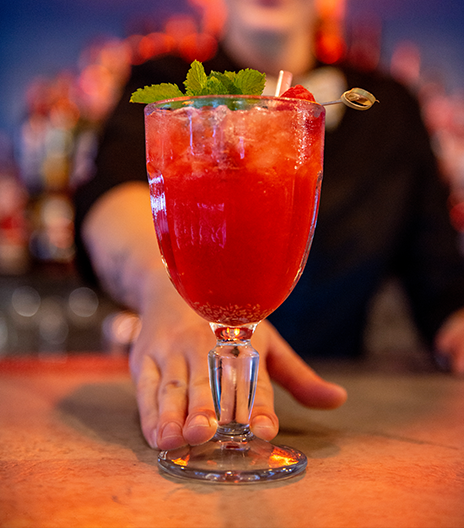 Strain into an Absinthe glass and garnish with fresh mint sprig and raspberry. Spice up an ice-cold refresher with a zesty ginger kick. 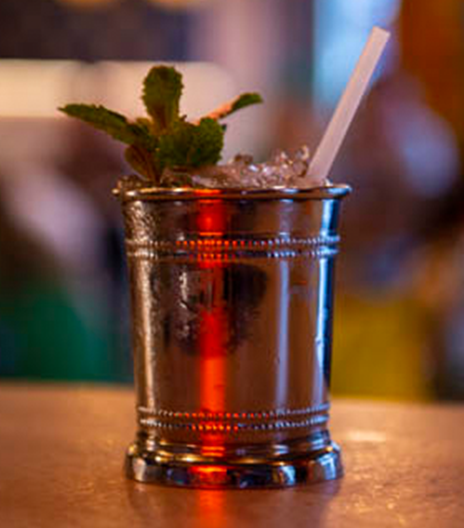 Fill half a julep glass with crushed ice Add Ballantine’s Finest and ginger syrup Stir it up. Add lemon juice and crushed ice Stir it up one more time before garnishing with a mint sprig. Staying true to Valencian innovation, we bet you’ve never seen (or tasted) an Old Fashioned like this before. 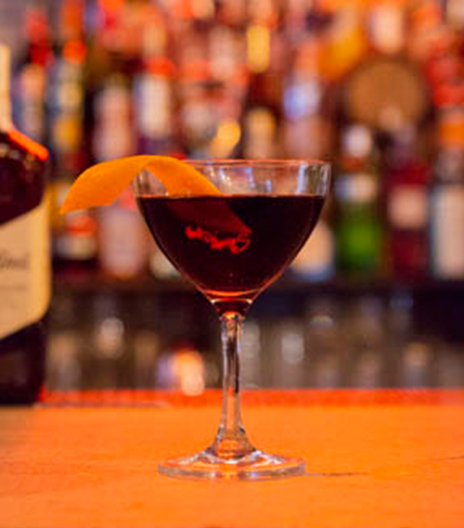 Here’s another easy-to-miss, hard-to-beat bar (we don’t call it an Insiders Guide for nothing). Killing Time is an institution for all electric music lovers, set in the local hipster area of Ruzafa with the added edge of setting up shop before any of the other hip hangouts emerged. The vibe is distinctly electro, with crates upon crates of rare international vinyls. Weekends take on a more raucous party atmosphere with local DJ’s spinning the decks. Come after midnight though, and you’ll see the side of the city that relishes moving to techno, well into the early hours too. 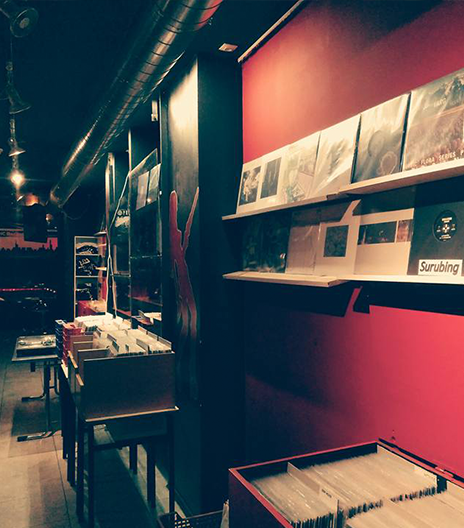 There’s something about Valencians and their record-store-come-bars – not that we’re complaining. 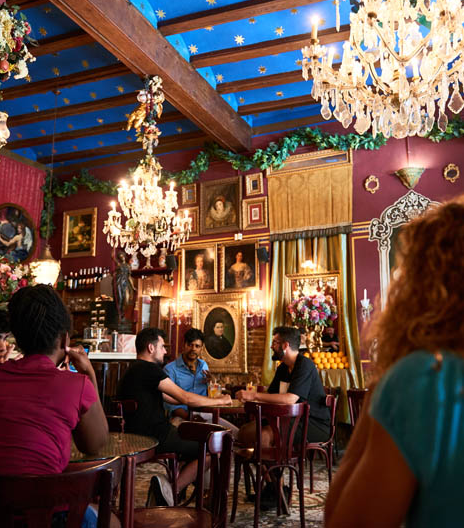 Head to Splendini for more records and no-nonsense drinks and tapas. 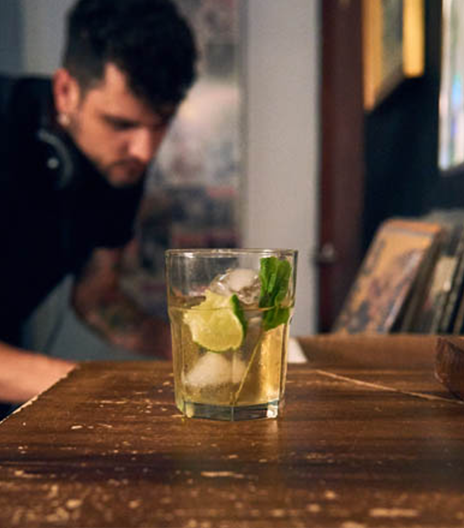 The vibe is all about the neighbourhood hang-out, with the local music community regularly stops by for a quick flick through the vinyls and a drink by the bar. Drawn in by owners Jose and Jordi, they’re Valencia’s top selectors for well over 20 years. The duo selectively buys second hand, but only of the highest quality music that interests them. Well worth a dig. 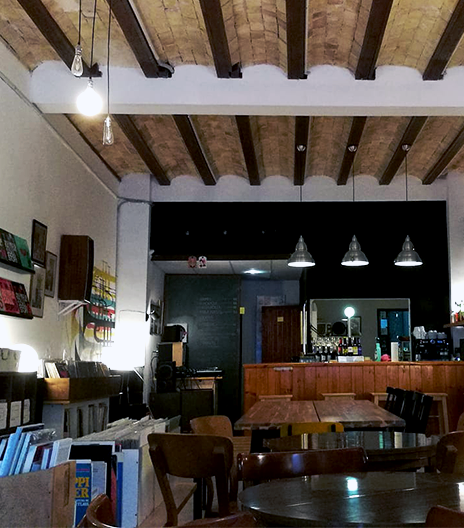 There’s something about Valencians and their record-store-come-bars – not that we’re complaining. Head to Splendini for more records and no-nonsense drinks and tapas. The vibe is all about the neighbourhood hang-out, with the local music community regularly stops by for a quick flick through the vinyls and a drink by the bar. Drawn in by owners Jose and Jordi, they’re Valencia’s top selectors for well over 20 years. The duo selectively buy second hand, but only of the highest quality music that interests them. Well worth a dig. This one’s for the ravers. For late night/early morning bangers, head to the weekly clubnight at Latex hosted by our Sonic Cities guide Gordo collective. Averno and Pablo first caught the eyes and ears of Valencia’s underground music scene through their seamless mixing abilities, bringing together House, Techno, Electro and Acid into dancefloor thumping anthems. Now, the clubnight they run is a regular fixture in the trendy neighbourhood of Razafa. Pulling in crowds from far and wide, not only for their mixing style but for the guest DJs the boys get on the decks- always kept secret and unadvertised to the public. If, like the boys, you believe the power of music trumps celebrity then this is for you.